On April 18, 1857, Frenchman Hippolyte Leon Denizard Rivail, writing under the nom de plume Allan Kardec, published The Spirits Book, marking the beginning of the Spiritism philosophy (or religion or movement, if you prefer). Today, the International Spiritist Council has representatives in 35 countries with its headquarters in Brasilia, Brazil. The publishing of The Spirits Book is celebrated by Spiritists, and today, April 18, 2017, is National Day of Spiritism in the United States. The total number of adherents is unknown, but said to be in the millions, with 5 million followers in Brazil alone. Around 4 million followers of Spiritism are in Vietnam under the name Caodaists. The various organizations or “federations” are only loosely affiliated, and some, notably in Brazil, combine African influences, with varying degrees of religiosity versus science. Most Spiritists do not see Spiritism as religion, but as a way of life and philosophy. Kardec (the name taken from a Celtic poet) wrote 5 books that form the basis of Spiritism, inspiration for which he received from “superior spirits,” including one named Truth. The Spirits Book was published in the form of 502 questions and answers Kardec had asked of mediums and spiritualists, and presumably the superior spirits he communicated with. Later versions were expanded to 1019 questions and answers. Kardec wrote a total of 5 books that comprise the Spiritist Codification which is the basis for Spiritism. Other authors contributed to Spiritist literature, including Arthur Conan Doyle of Sherlock Holmes fame. Kardec also relied on “talking boards” (aka, Ouija board, spirit board, etc. ), Mesmerism, and seances for his information/inspiration. Kardec was brought up Roman Catholic and was highly educated, getting degrees in Science and a Doctorate in Medicine. He was a member of numerous scientific and professional societies and did not seriously explore Spiritism until he was in his 50’s. Obviously, Spiritists believe in spirits! No angels, no demons, just spirits. These spirits can be beneficial or malevolent, and are immortal. People are reincarnated over and over, although animals are not. Spirits can be contacted through passive or active mediums and seances. Humans are immortal spirits that are a combination of spirit and body. There is one all-powerful God, and spirits are created simple and ignorant, gaining perfection through reincarnation over and over. Spirits can communicate with living people, and even physically interfere with or affect the physical world and people. Spiritists also believe other planets are populated by people. 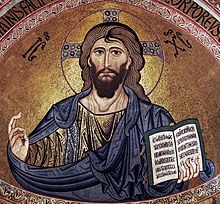 Spiritists acknowledge Jesus Christ as an incarnation of perfection as an example to humans, an ideal to be emulated. Rather than miraculous, Jesus’ life and deeds are seen as “spiritual phenomena” and the Gospels are studied, though with interpretations that may vary from mainstream Christian faiths. What do you think of Spiritism? (I would encourage you to read up on the subject rather than relying on this short article.) Do you dismiss it out of hand, or do you think it is worth investigating? Please share your thoughts on the subject. Kardec, Allan. The Spirits’ Book. Conselho Espirita Internacional, 2008.